... after living and ministering alone as a priest for 11 years, I would be living and ministering with one or more priests in the not too distant future. I was intrigued and, yes, a bit anxious about this possibility. 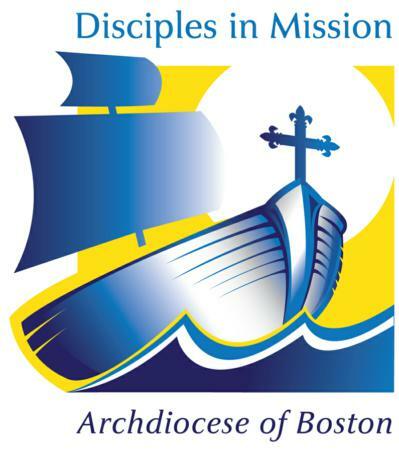 When Cardinal Seán approved Disciples in Mission -- A Pastoral Plan for the Archdiocese of Boston in 2012, I began praying and thinking about the future and the plan's potential for the archdiocese as a whole and the parish to which I was assigned at the time, as well as the implications for me as a priest in the archdiocese. My praying and thinking about Disciples in Mission and its possibilities, challenges, and impact moved to a deeper level when, in the summer of 2013, I learned that the parish to which I was assigned had been selected to enter Disciples in Mission as part of Phase II. The parish's selection meant that I would resign as pastor and be open to another priestly assignment. This became quite real to me when I wrote my letter of resignation as pastor of the parish and mailed it to Cardinal Seán.Not long after that, one concrete, potential implication dawned on me: after living and ministering alone as a priest for 11 years, I would be living and ministering with one or more priests in the not too distant future. I was intrigued and, yes, a bit anxious about this possibility. Some of my assignments during the first 10 years after priestly ordination gave me reason to be hopeful about the prospect of living and ministering closely with another priest once again. Two of those assignments, St. Pius V Parish in Lynn and St. Joseph Parish in Needham, had me living and working with two other assigned priests, a senior priest in residence, and, often, a seminarian. Thinking about this in preparation for entering Disciples in Mission filled my mind and heart with lots of good memories (maybe a few challenging ones, too!) and with hope for the future possibilities. I felt particularly blessed to be with the senior priests in residence I encountered in these parishes, Msgr. Peter Hart at St. Pius V Parish and Msgr. Frank McGann at St. Joseph Parish. Both were quick to offer assistance to the assigned priests on busy days and a word of encouragement and affirmation in the face of ministerial and priestly challenges. My assignments during the second 10 years after priestly ordination found me assigned alone, with most of those 10 years at Our Lady of Sorrows Parish in Sharon. This was a positive, but different experience of priesthood for me. While it was true that I was living and ministering as the only priest assigned to these parishes, it hardly meant that I was alone. I had connections with priests in the local area and great religious order priests (especially Holy Cross and Jesuit priests!) who assisted at the parish. I was working with a deacon and faithful and gifted lay people, whether they were staff members or involved with the parish pastoral council, parish finance council, or any number of commissions or ministries. On a personal level, I was blessed with good neighbors and other community members who welcomed me into their families and homes. These experiences were also part of my experience when living and working with other priests. Father Ixon Chateau and I began living and ministering together in the parishes of Holy Family in Amesbury and Star of the Sea in Salisbury on June 2, 2014. Father Ixon's simple, joyful, prayerful, and faithful life made the transition to living and ministering with another priest quite easy. Cardinal Seán gave Father Ixon another assignment in June 2015. Since then, I have been living and ministering with Father Chris Wallace. 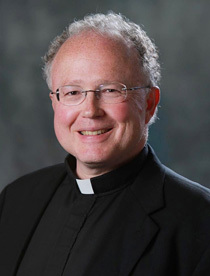 Father Chris' missionary zeal, faithfulness to prayer, commitment to priestly fraternity, and love of food contribute to a good rectory and ministerial relationship. If you know either Father Ixon or Father Chris, you will have to ask them what is has been like from their perspective! Living and ministering with another priest after 11 years of not having done so has led to a renewed experience of priestly fraternity for me that has had ripple effects beyond our rectory and two parishes. Father Chris and I are able to enjoy a good relationship with and the generous hospitality of the priests in the neighboring parishes and collaborative -- Immaculate Conception Parish in Newburyport and Holy Redeemer Parish in Merrimac and West Newbury -- especially during Saturday evening dinners. Our monthly vicariate luncheons and meetings, and our seasonal Merrimack Region gatherings offer other opportunities for priestly fraternity. Reconnecting with priest friends with whom I had become somewhat disconnected due to the hectic pace of ministry and the geographic distance of our assignments is another part of this renewed experience of priestly fraternity. While I could write on other positive impacts, some expected and some unexpected, of Disciples in Mission, a renewed experience of priestly fraternity is near the top of the list for me.